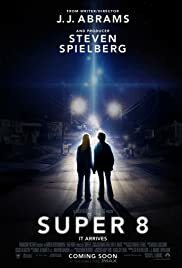 One of the largest productions that came to West Virginia during the heyday of the old tax credit was the Spielberg produced Super 8 directed by J.J. Abrams. They filmed in Weirton, WV and spent MILLIONS at West Virginia businesses and individuals while there. These incredible numbers are only possible if West Virginia offers a competitive tax credit to entice these productions to shoot their film and television productions here. Without a tax incentive, exactly ZERO productions will come to West Virginia and will instead shoot in Kentucky, Virginia, Pennsylvania, North Carolina, or Georgia, where the terrains and scenery are virtually identical to West Virginia and the tax incentives are very favorable. If you ran a business and could save 35% as little as 50 miles away, wouldn’t you? EDITOR'S NOTE: From conversations with filmmakers, Warner Bros. might have spent more time in WV for "We Are Marshall", if there had been a tax credit. The two week shoot was extended to three by a discretionary grant from then Gov. Joe Manchin. Still, WV has infrastructure issues, missing direct air flights, and lack of a working sound stage.